Golden Palace is located in the heart of Mumbai with perfect connectivity to different locations. 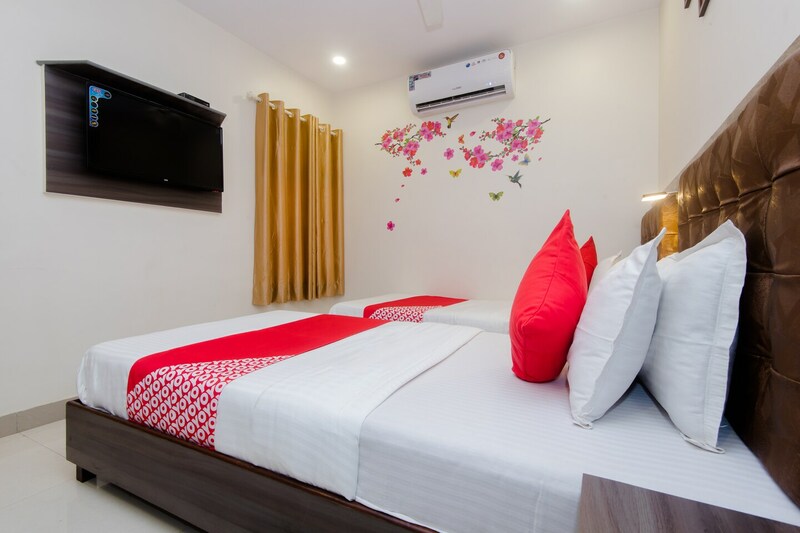 The rooms are cozy, spacious and pleasant with the basic and modern amenities. The bright and vibrant hues of white-walled room along with various basic and modern furnishing are provided for the comfort of guests. Guests can enjoy the free wifi to stay connected, while CCTV cameras are installed to cater to their safety. Some of the best must-visit tourist locations are in close proximity to this site such as Versova Beach, ISKCON and the famous Prithvi Theatre.